A 60-hour football and volleyball marathon in aid of Puttinu Cares is being held this weekend at the Marsa Sports Ground. The aim of the marathon, which will see more than 800 teams challenging each other, is to collect funds for a plot of land close to the centre of London, where the charity aims to build more apartments for cancer patients and their families. 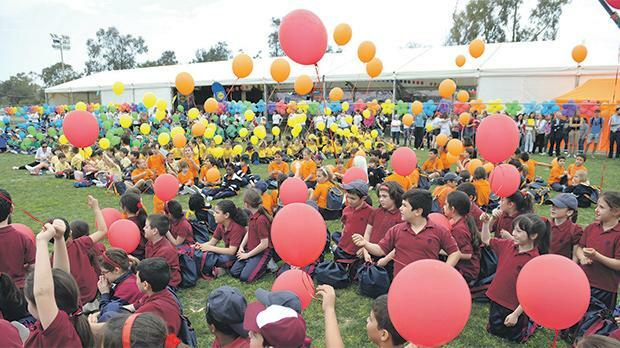 Today, hundreds of children from different schools and various personalities will attend Mass at 9am, followed by the marathon’s kick-off at 10am, presided over by President Marie-Louise Coleiro Preca and a 19-year-old cancer survivor. Later this evening, some of Malta’s best known deejays – Alex Grech, Pierre Cordina, Clint Bajada and Ryan Spiteri – will be hosting a 1980s and 1990s party. The event kicks off at 8pm and entrance is free of charge. Tomorrow and on Sunday, there will be a full programme of activities for families. A funpark will be bursting with activities for the young, like train rides, quadbike rides, trampolines, bouncing castles and an aerial ropeway. The funpark opening times are from 11am to 6pm tomorrow and on Sunday from 10am to 6pm. There will also be animation by Disney characters, magicians and clowns. Tomorrow evening, there will be entertainment for all the family and local TV drama groups will be competing against each other. The public is invited to meet the stars on the red carpet and take photos with them. On Sunday, many local singers, including Corazon, Janice Mangion, Claudia Faniello, Fabrizio Faniello, Jade Vella, Destiny, Jessika and Janvil, will perform on the main stage. The marathon will be transmitted live on TVM, TVM2, One, Net, Xejk and FLiving. For more information, visit the Puttinu Cares Facebook page, www.puttinucares. org or send an e-mail to info@puttinucares.org.